Braden Thornberry of the United States has won the Mark H McCormack Medal as the leading men’s player in the 2018 World Amateur Golf Ranking™ (WAGR). The 21-year-old will earn exemptions, if still an amateur, into The 148th Open at Royal Portrush and the 2019 US Open at Pebble Beach. Thornberry was ranked as the world's number one amateur golfer for 11 weeks and posted four wins which include the Old Waverly Collegiate Championship and Hootie @ Bulls Bay Intercollegiate. 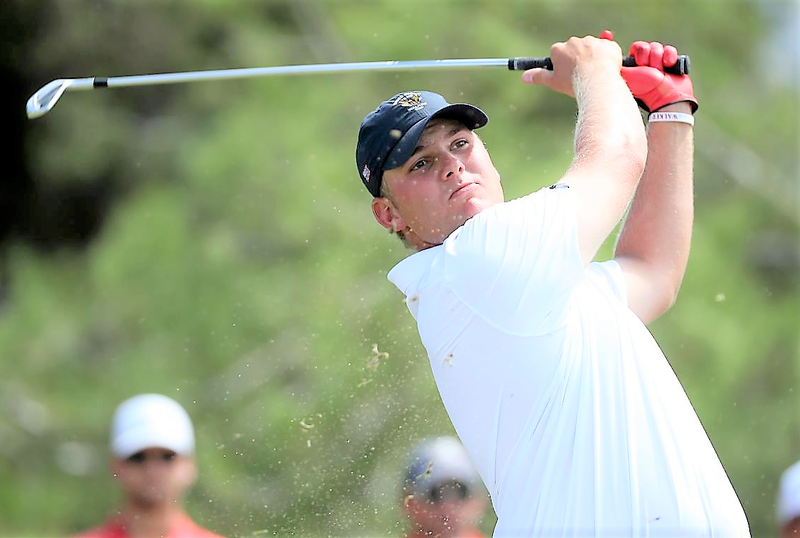 He was also a member of the teams from the United States which won the 2018 Arnold Palmer Cup and the 2017 Walker Cup. Thornberry was a second-team All-American as a junior at the University of Mississippi in 2017-18 and became the third player in Ole Miss history to be selected to an All-America team multiple times. He also earned All-Southeast Region and All-Southeastern Conference (SEC) recognition for the second consecutive year. He was 15th among the NCAA leaders in stroke average (70.28) and is the programme’s career leader with 11 tournament victories. In 2017, Thornberry won the NCAA Division 1 individual title by four strokes with a 72-hole score of 11-under-par 277 and received the Fred Haskins Award as the top collegiate golfer. His appearances in professional events this year include the US Open at Shinnecock Hills, the FedEx St Jude Classic (T-26), the RSM Classic (T-61) and the Web.com Tour’s North Mississippi Classic (T-22). Duncan Weir, Executive Director – Golf Development at The R&A, said, “Braden has joined the likes of Joaquin Niemann, Maverick McNealy, John Rahm and Matthew Fitzpatrick as a winner of the McCormack Medal and we congratulate him on this fantastic achievement. “On behalf of the USGA, I wish to extend our congratulations to Braden Thornberry on being awarded the McCormack Medal,” said John Bodenhamer, USGA senior managing director of Championships. The R and A and the USGA jointly award the McCormack Medal each year. It is named after Mark McCormack, who founded sports marketing company IMG and was a great supporter of amateur golf. The World Amateur Golf Ranking™, which is supported by Rolex, was established in 2007 when the men’s ranking was launched. The men’s ranking encompasses more than 2,700 counting events, ranking 6,200 players from 106 countries. The women’s ranking was launched in 2011 and has a calendar of more than 1,850 counting events with more than 2,850 ranked players from 78 countries.